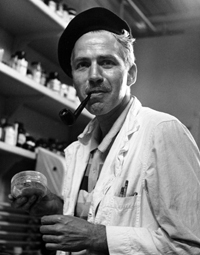 Alexander "Sasha" Shulgin, Ph.D., was a pharmacologist and chemist known for his creation of new psychoactive chemicals. After serving in the Navy, he earned his Ph.D. in Biochemistry from U.C. Berkeley in 1954. In the late 50s and early 60s he did post-doctorate work in psychiatry and pharmacology at U.C. San Francisco and worked briefly as research director at BioRad Laboratories before becoming a senior research chemist at Dow Chemical Co. In 1960, Sasha tried mescaline for the first time. He then experimented with synthesizing chemicals with structures similar to mescaline such as DOM. After leaving Dow in 1966 to become an independent consultant, Sasha taught public health at Berkeley and San Francisco General Hospital. Although he didn't invent it, Sasha first synthesized MDMA in 1965; however, he did not try it at that time. In 1976, the effects of MDMA were described to Sasha by an undergrad at San Francisco State University. Sasha was inspired to cook up a batch of the drug, which he began testing on himself in September of that year. 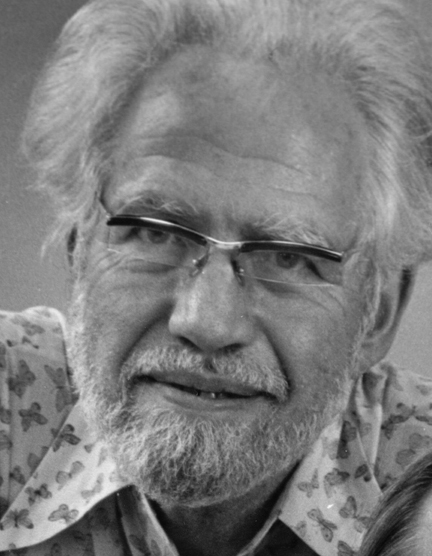 Finding the compound to have worthwhile qualities, in 1977 he introduced the material to Leo Zeff, an Oakland psychologist who worked with psychedelics in his therapy practice. Zeff introduced hundreds of therapists to MDMA and word quickly spread outside the therapist community. Sasha's partner Ann Shulgin also conducted psychedelic therapy sessions with MDMA before it was scheduled in 1985. 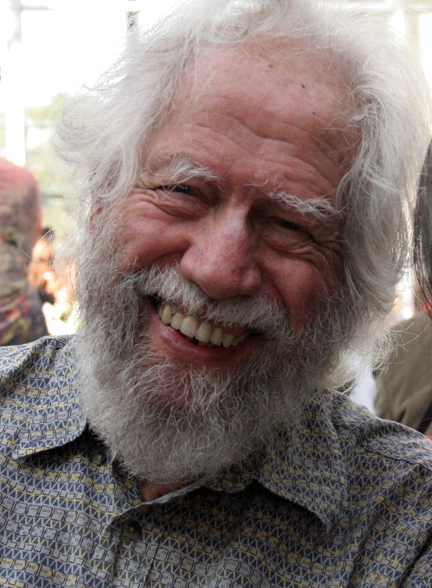 After that, Sasha Shulgin synthesized and bioassayed (self-tested) hundreds of psychoactive chemicals, recording his work in five books and more than two hundred papers. He was a fixure in the psychedelic community, who has spoken at countless conferences, granted frequent interviews, and instilled a sense of rational scientific thought into the world of self-experimentation and psychoactive ingestion. 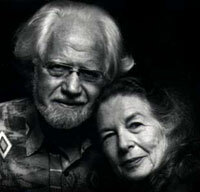 In April of 2010, Sasha and Ann Shulgin were honored for their lifetime of achievements in the field at the Psychedelic Science in the 21st Century conference in San Jose, CA, where a portrait of the couple painted by Alex Grey was unveiled for the first time.